Brook had hoped to finally agree a British battle with Khan, who instead targeted Crawford's WBO welterweight belt, but the former world champion can still command major fights in two divisions. Jessie Vargas has emerged as a likely foe for Brook in America at welterweight, while Liverpudlian Smith has welcomed a super-welterweight fight 'down the line', and Australian Jeff Horn is also willing to battle the Sheffield man at 154lbs. Vargas himself is talking about this, he's even started training for this fight, so there might be some truth in that. He's a former world champion and Kell has got to try and make a statement. I remember when Khan boxed 'Canelo' and then Kell came back and fought 'GGG', although they both suffered defeats. 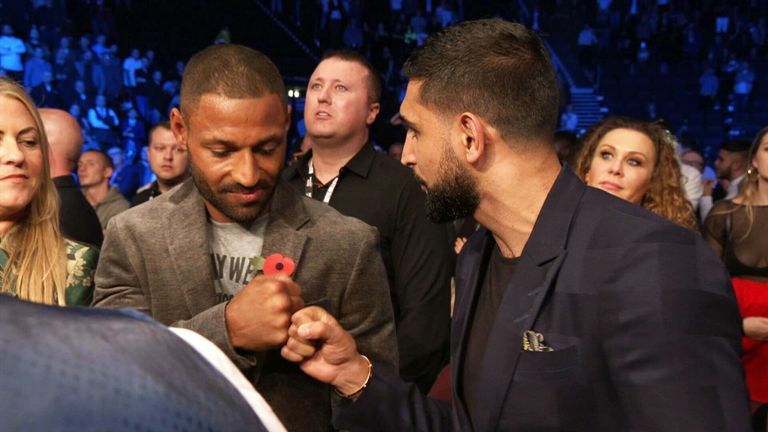 Khan has made it quite clear he's going to make his own path and Kell needs to do the same. I think Vargas is a good shout as victory puts him in the position to fight for a world title. Liam and Kell have sparred together when Smith was preparing for the 'Canelo' fight and the sparring was pretty tasty. Kell thinks he got the better of it. If Liam was to fight Kell, now would be the right time, because Kell's last performance wasn't great. He's no longer with trainer Dominic Ingle. Timing is everything, so if he's going to do it, Liam wants to do it as soon as possible, while there are questions about Brook's career. It's a fan-friendly fight, and we know who Jeff Horn is, but business wise for Kell you would go for the fight where it puts bums on seats, where there's that commercial interest. If Kell is fighting in Britain, I would rather go for Liam Smith. The others are also great scalps, but remember Liam is a former world champion himself. Domestically, he just ticks all the boxes. He needs to make sure every fight means everything. Brook is not at the stage of his career where he can say 'I'll do that next'. Kell needs to make a statement.